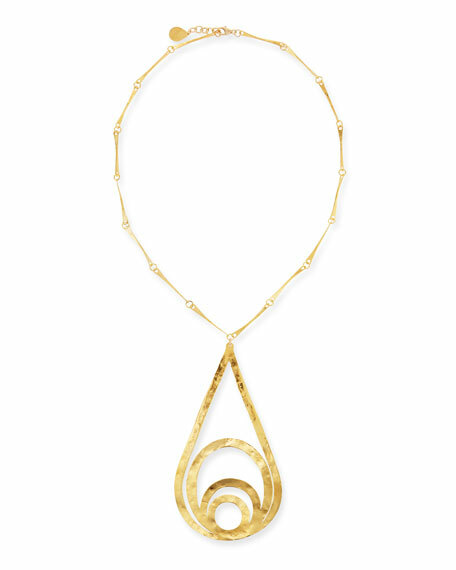 Devon Leigh multi-loop teardrop necklace. 18-karat yellow gold-plating over brass. Narrow links with open teardrop pendant. 14-karat gold-filled extension and clasp. For in-store inquiries, use sku #2530340.